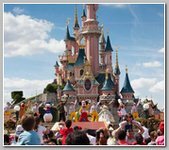 French police arrested, on Thursday 01/28/2016, a man carrying two low-caliber handguns at the Euro Disney amusement park outside Paris, an Interior Ministry official said. 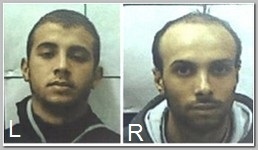 Israeli Shin.Bet (Internal Security Service ) arrested, on 11/22/2015, two Israeli Arab cousins from the Nazareth area on suspicion of being I.S.I.S operatives who plotted a terror attack in northern Israel. Two Syrian nationals have been arrested in Geneva, Switzerland, on Friday 12/11/2015, and traces of explosives were found in their car, the city’s daily Tribune de Geneve reported. Police, on 12/10/2015, said they believe they have smashed, in Luton, a network of fanatics led by Mohammed Alamgir (pic), 36, encouraging people to support Islamic State terrorists. Israel’s security forces arrested five Israeli Arabs from Nazareth on suspicion they were planning terror attacks inspired by the Islamic State, it was cleared for publication on Tuesday 12/08/2015..
A stolen BMW with Belgian license plates sparked a security alert in central London on Saturday 11/21/2015. Three men were arrested after police, with helicopters, ambulances and a fire engine all attending, evacuated a busy London thoroughfare.